Back in the mists of time – in the very infancy of ‘Small Pressganged’ in fact – Douglas Noble and Sean Azzopardi’s eerie Built of Blood and Bricks was one of the very first comics to be reviewed in this column here. 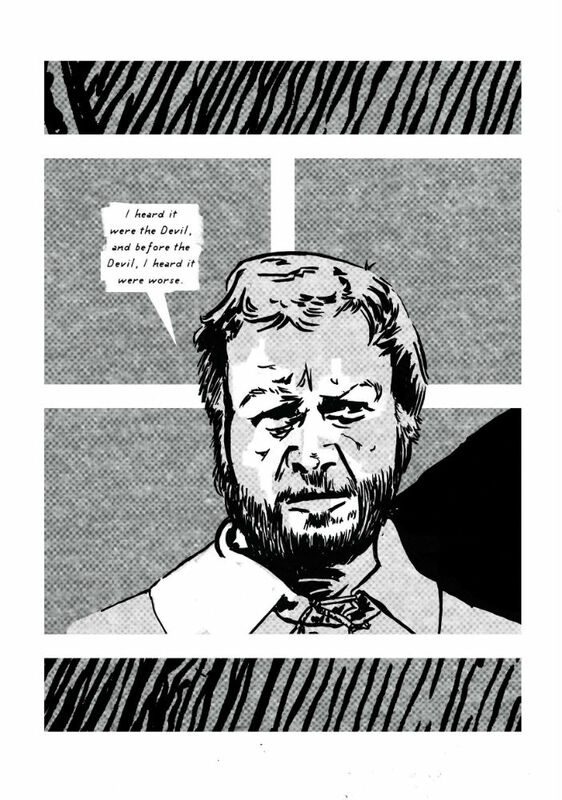 Noble has always been a creator to follow his own muse – both collaboratively and on solo projects – producing comics that embrace the implicit and often eschew narrative transparency. To date, his tagline for his work “geographic terror and unfriendly romance” has been a most appropriate one indeed. 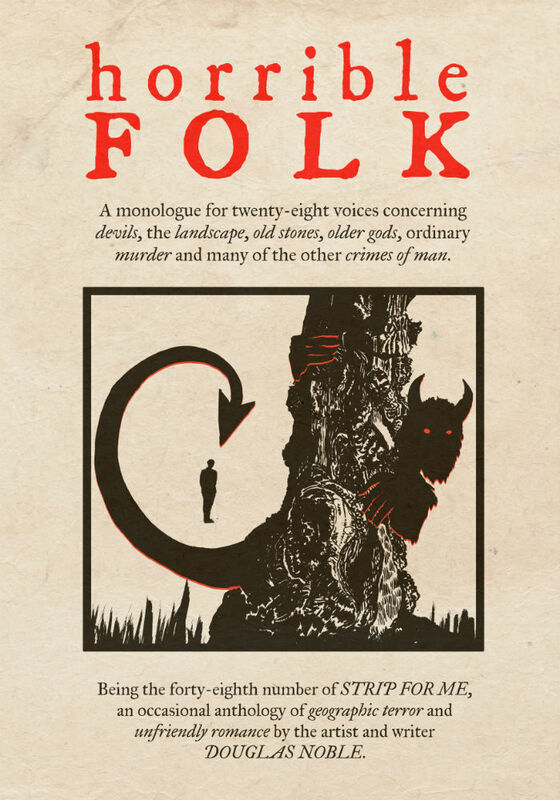 Noble describes his latest offering Horrible Folk as a “monologue for twenty-eight voices concerning devils, the landscape, old stones, older gods, ordinary murder and many of the other crimes of man”. Through the accounts in these pages of the population of the small village of Sandsford we bear second hand witness to a fragmented report that fuses parochial mythology with possibly apocryphal local history to hint at the dark forces that have supposedly shaped and manipulated this mysterious locale. Noble’s encyclopaedic cinematic knowledge plays a notable role in Horrible Folk. Acting as our tour guides to these creepy environs are a host of unnamed background players visually based on characters from such classic British chillers as The Wicker Man, Blood on Satan’s Claw, The Witches, The Stone Tape and many others. Their brief on-page appearances as they deliver short monologues on the legends of Sandsford enhancing the fractured feel of proceedings and providing a disquieting dissonance to the comic’s interiors. That element of his work – its peculiarly appealing obliqueness – has, of course, always been a major draw for Noble’s committed reader base. He doesn’t just ask the reader to become a part of the narrative process, he makes it a requirement of entry. 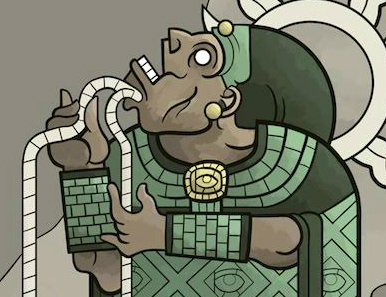 Those unprepared to interact with, interpret and speculate on a Noble offering are missing out on a significant part of the experience. 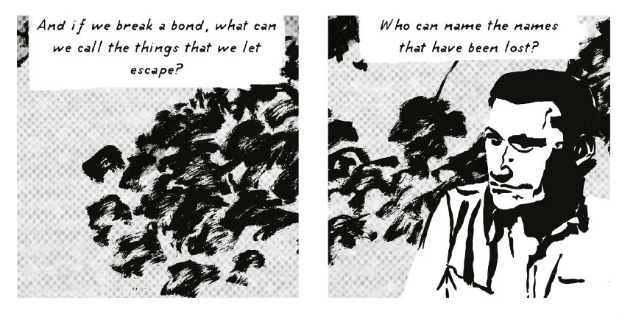 Whereas psychogeographical sequential art is often concerned with how either its author or audience are invested in a place through memory, a sense of belonging or relatability, Noble’s take is very different. Rather than reader/creator shaping environment, Horrible Folk has an element of environment shaping us – playing to our primal fears with an oppressive, insidious intent. It’s a constant reminder of the uncontrollable horror of an unknown and unknowable landscape here that seems imbued with a brooding and almost malevolent ancient presence of its own. 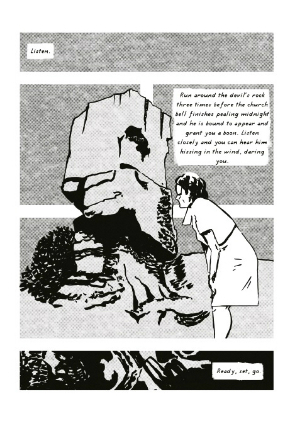 This is folklore draped across a pop cultural backdrop and pulled together to create something even stranger and darker. It echoes across our memories of the pulp-influenced celluloid screen, stitching together horror esoterica into a disquieting patchwork tale as reality and myth seem to merge into one. 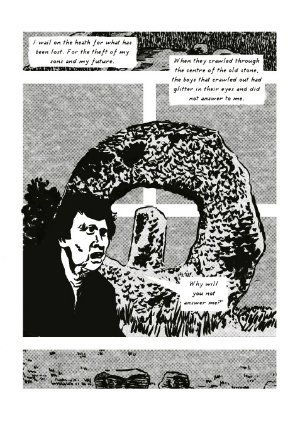 Enticing and sinister at the same time, Horrible Folk is a commemoration of the macabre – pure Douglas Noble at his inscrutable best. For more on Douglas Noble’s work visit his site here and follow him on Twitter here. You can find his online store here. 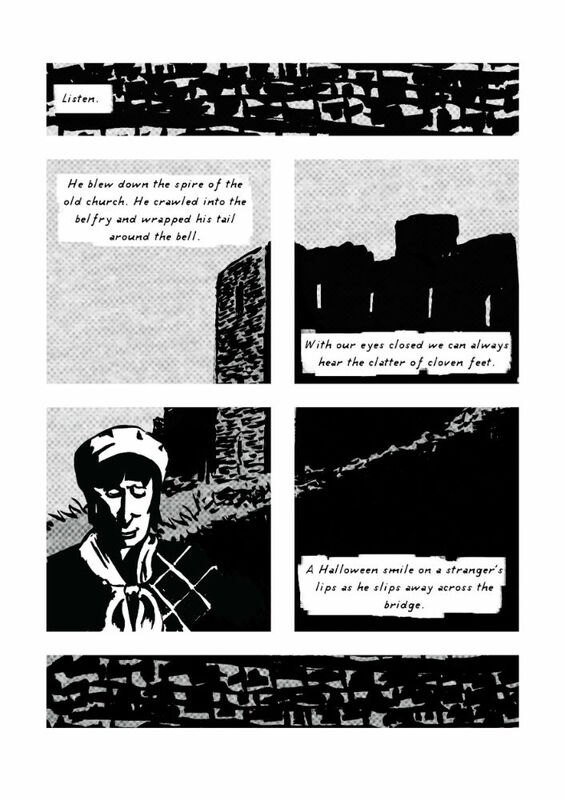 For regular updates on all things small press follow Andy Oliver on Twitter here. 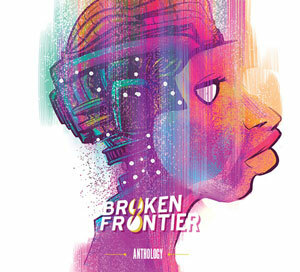 Andy Oliver is Broken Frontier’s Editor-in-Chief and site owner. He is also a co-organiser of the annual UK Small Press Day, was a member of the 2015 British Comic Awards Committee and a judge for the 2014 Myriad First Graphic Novel Competition. Broken Frontier is a comic book and graphic novel news site established in 2002. Our international team of staff writers covers quality stories from all corners of the comics universe, with a penchant for independent and creator-owned material. Looking for BF content from before the current version of the site? Access it here.